Once you've got it set up, it just requires one click to print FBA labels directly from Seller Central to your Dymo or Zebra thermal printer. It works beautifully with thermal printers. Download the AZLabels extension for Chrome or Firefox. A new icon will appear in your toolbar. Register for your free account. The option to register will pop up after you download the extension. Once you register you'll have access to your online dashboard where you can activate your extension, choose your label sizes, and other tasks (i.e. do a test print, monitor usage). If you're not sure about how to choose FBA label sizes, this will be covered in detail below. Go to Seller Central as you normally would, but now in your FBA shipping workflows you will see a "Print Thermal Labels" button created by the extension you downloaded. Click this once, and your labels will be formatted into a PDF from which you can print FBA labels to your thermal printer. This section will examine the steps involved in operating a Dymo LabelWriter thermal printer. 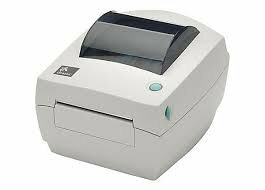 A direct thermal printer does not use ink or toner. It uses heat from a thermal print head to print on heat-sensitive labels that are specially treated. The only supplies you will need to buy are your labels. After you've removed the printer from its packaging, plugged it in, and set it on a level surface, press the form-feed button. This will eject the labels that were protecting the printer during shipment. Open the top cover, then remove the packing material inside the label compartment. Next, you will hold the spool spindle in your left hand. Carefully place the label roll on the spindle. Make sure the labels feed from underneath, and make sure the left edge of the label roll is firmly flush against the side of the spool. Slide the spool guide onto the right side of the spool, then press the guide tightly against the side of the label roll (leave no gap between the roll and the spool). To ensure proper feeding of labels during printing, the label roll must fit snugly against both sides of the label spool, with no gaps. Now it's time to place the labels into the printer. Insert the label spool into the slot in the printer cover. Make sure the labels are extending from underneath the roll. Carefully align the left edge of the label with the left edge of the label feed slot, then insert the label into the slot. The printer will automatically feed the labels and will stop at the beginning of the first label. If the printer fails to feed the labels, make sure the first label is fully inserted, then press the form-feed button. If the first label on the roll is not a full label, press the form-feed button to eject the partial label. Pro Tip: It's all about proper alignment. Regardless of the FBA label width, the left edge of the label must be aligned with the left edge of the label feed slot for the labels to feed properly. For 450, 450 Turbo, Duo, and Twin Turbo Only: Slide the label guide to the left until the label guide aligns with the right edge of the label. Make sure that the label guide does not pinch the label. For Twin Turbo Only: Repeat steps 3-8 to load a second roll of labels. Carefully lower the top cover, and you're ready to start printing FBA labels. With a roll of labels in the printer, press and hold the form-feed button on the front of the printer for five to ten seconds. The printer begins printing vertical lines along the width of the printer. The test pattern automatically changes every 3/4 inch (19 mm). Once the self-test begins, release the form-feed button. To stop the self-test, press and release the form-feed button. If you'd like to explore all the Dymo manual's troubleshooting tips, you can click on the manual link at the top of this section and refer to Chapter 5 "Getting Help," located on pages 19-21 of the manual. In this task, you will set up your label sizes on the computer to match the size and orientation of the labels you have loaded in your Dymo thermal printer. The process is different depending on your operating system. Right-click your printer and select Printer Preferences. Under the Paper Size dropdown, ensure that the proper label size for your labels is selected. Change the Paper Size to the same as you chose before. Check that the paper size you are looking for does not already exist in the PDF Print Settings (click Show Details, then click the Paper Size dropdown). This is the easiest route. If the size you need does not already exist, you will need to proceed with the following steps. Go to "http://localhost:631/printers" in your browser. This is an interface called CUPS, and this is where Mac users manage their printer settings. If you get an error that the "Web Interface is Disabled," you must open Terminal and copy and paste the command listed: "cupsctl WebInterface=yes". Now go to the link in Step 2 again. It should now be available and active. From the list of printers, choose the printer you want. There will be a dropdown list on the next page. Choose "Set Default Options." From this page, you can choose the default paper size. Find your label size there and select it. If you do not find it there, you can choose the "Custom" option and enter your own label size. Finally, click Set Default Options. Your new label size will be saved and you're ready for printing FBA labels. Now that you've set up your computers properly, you can go to your AZLabels account to set your label size for your thermal printer button that was placed in your browser when you downloaded the AZLabel extension. Find the "Set Label Sizes" section. Click the dropdown and choose which size you want for printing FBA labels. The process is now complete. Now, when you go through your shipping workflow in Seller Central, the thermal printer button will automatically generate PDFs in the correct label size. As you work through these steps and you're having trouble fixing vertical prints, read this troubleshooting article for tips on resolving the issue. After you've taken the printer out of its packaging, placed on a level surface, and plugged it in, open the top cover by pressing the button on the left and lifting the cover. Some models have two latches on either side that you unclasp. Place your roll of labels in between the two green plastic bars that you can slide apart until the roll of labels can be placed in between them. In some models, these bars are black. You will see two black pieces that hold the labels in place as they feed out. A button next to these black pieces can be pressed to adjust the width until the black pieces securely hold the paper in place as it feeds out. Close the top cover. When the printer is ready, the light on the cover will change from red to green. The printer is now ready for printing FBA labels, though you will need to establish the paper sizes in your computer before you can begin printing. For more helpful tips on the operational steps of your Zebra printer, you can explore product-specific manuals by visiting their support page, finding the model number of your Zebra product, and reviewing its manual. Click the Stocks tab at the top. Check if your label size is listed there. If not, click New on the bottom. Enter the name of your label (for example, "4x6 Shipping Label"). Enter the dimensions of the label. For example, enter 4 in the width section and 6 in the length section for a 4x6 shipping label. Leave the unprintable area at zero. If you want to make that paper size the default size (so you don't have to select it every time), click the Options tab in the printing preferences. In the Stocks dropdown, select the paper stock you just created. It will become the new default. Click Apply and OK at the bottom, and your new stock will be saved. Zebra is now ready to go with your paper sizes, and you are ready for printing FBA labels. If you find that you're having trouble with fuzzy or low quality label prints from your Zebra, read this article for troubleshooting tips. It can take some work and patience, but once you've got everything set up, aligned, and cooperating with each other, it's a wonderful feeling to be printing FBA labels in your thermal printer by simply clicking on a button in your browser. It makes the hectic busyness of running an Amazon Seller store much easier. AZLabels is trusted by thousands of Amazon Sellers to print tens of thousands of labels every single day. Operate lean and mean. Get all our tips for running an efficent and high-growth business.